It’s been a while since I’ve been proper shopping and yesterday I only nipped into town to replace a bracelet I lost, but it turned into an epic five hour spree with the Mother! And as we were heading back to the car we walked through Debenhams where they were having a huge shoe sale. And if I have one weakness, it’s shoes! 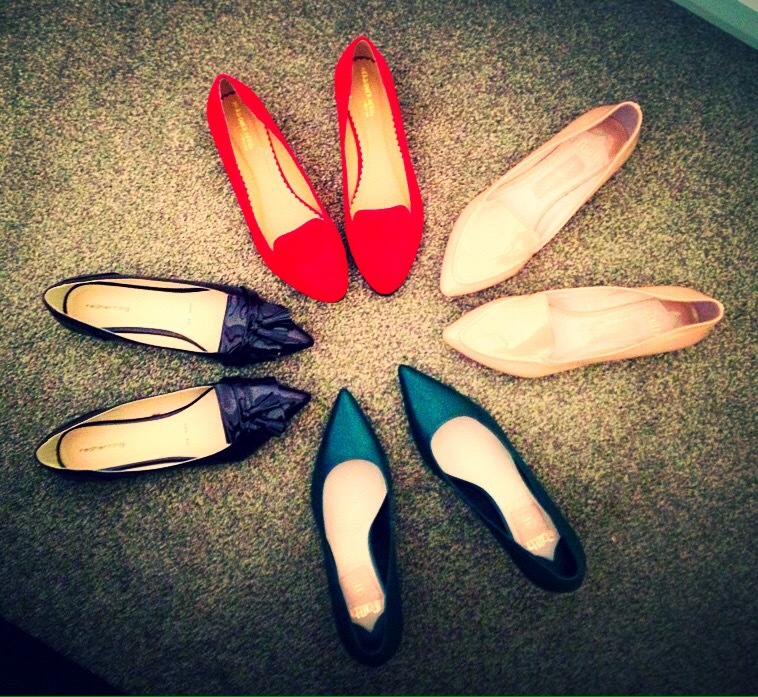 Twenty minutes later I was the very happy owner of these four pairs of beauties! 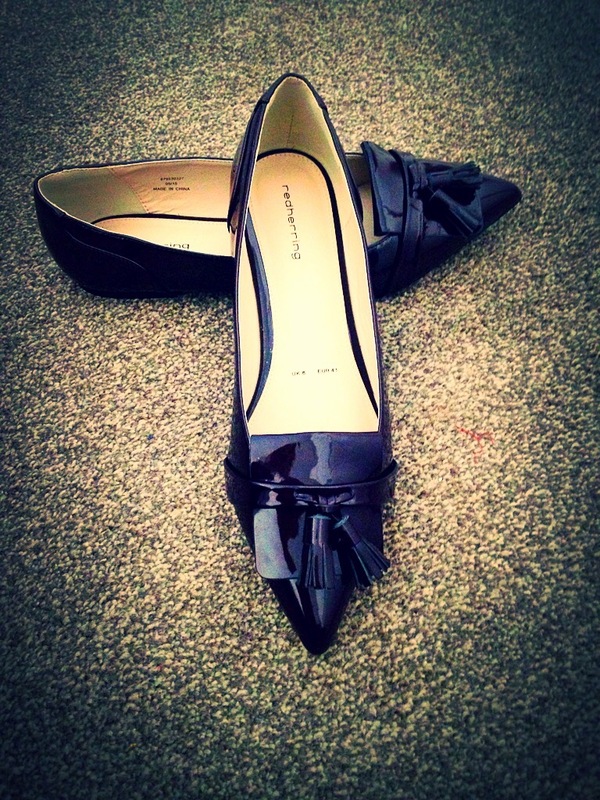 From Faith to Head Over Heels, flats to heels, I got a great mix of work to weekend shoes! 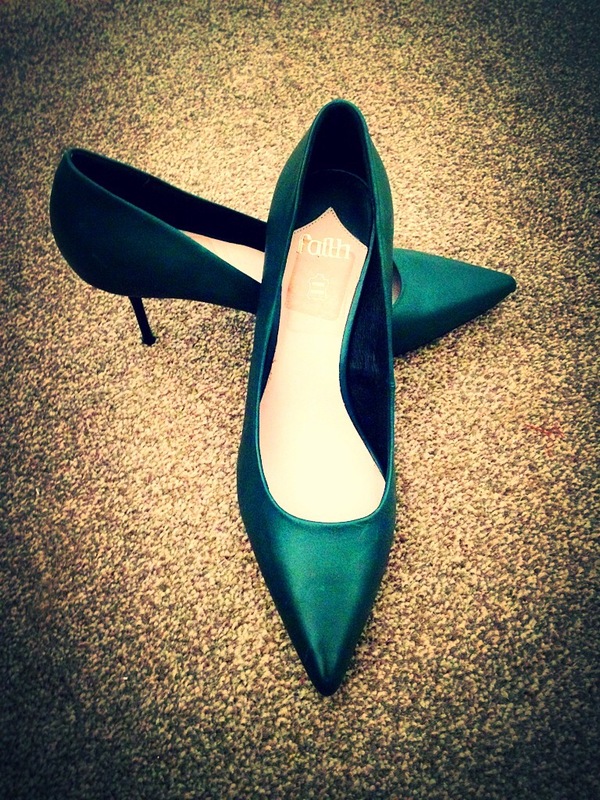 I’ve wanted a pair of dark green heels for months and these ones from Faith are a gorgeous forest colour made from soft leather, stiletto heels and a sharp pointed toe…they’ll look great with my black leather midi skirt. My black leather mocassins from Clarks have taken a battering over the last couple of years and these dark purple Red Herring flats feature tassels to the front with this season’s pointed toe – they’ll make a great replacement! I love a cute pair of flats and these cream-coloured ones from Faith are perfect for the summer. I can’t wait to wear them with my dusky pink and black polka dot dress for work and light wash jeans come the weekend! 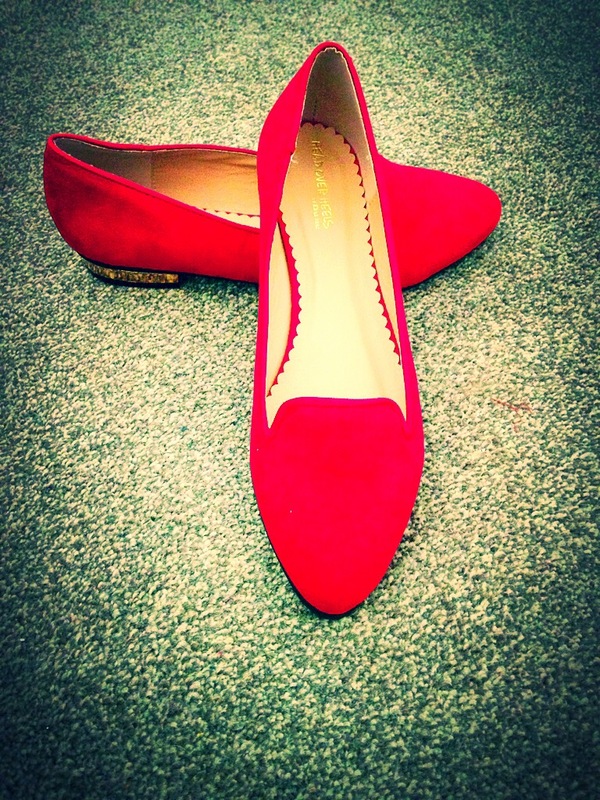 And perhaps my faves of the day, these super cute red flats by Dune Head Over Heels! With their bold hue, almond-shaped toe and gold look heel they’ll brighten up any outfit! I can’t wait to show them off! Previous Post Sunday: Nail Art Inspo! Wow! I’ve never bought more than two pairs in one go! Love both pairs of Faith shoes, though didn’t realise they were still around. I heard the went bust. The green ones are a classic design. I know me too! Glad they haven’t though, absolutely love the green ones, can’t wait to wear them! It’s a lovely dilemma to have, picking which shoes to wear first.